What these terms cover. These are the terms and conditions on which we provide study materials and services to you, whether these are courses, exams, associated services or digital content combined (a Course). Why you should read them. Please read these terms carefully before you submit your order to us. These terms tell you who we are, how we will provide Courses to you, how you and we may change or end the contract, what to do if there is a problem, and other important information. If you think that there is a mistake in these terms, please contact us to discuss. Who we are. We are Manx Professional & Educational Services Limited (MPES), a company registered in the Isle of Man. Our company registration number is 108379C and our registered office is at 41-45 Duke Street, Douglas, Isle of Man, IM1 2AU. Our registered VAT number is GB002228435. All study materials, whether in written or electronic format, are supplied by Manx Professional & Educational Services Limited. Where study materials are supplied in conjunction with a course, they are included in the fees quoted and Manx Professional & Educational Services Limited collect amounts payable to such company. Any queries regarding any such study materials should be addressed to Manx Professional & Educational Services Limited. How to contact us. 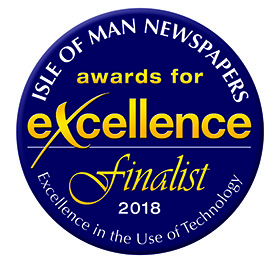 You can contact us by telephoning our office at 01624 668101 or by writing to us enquiries@mpes.co.uk or Manx Professional & Educational Services Limited, 41-45 Duke Street, Douglas, Isle of Man, IM1 2AU. How we may contact you. If we have to contact you we will do so by telephone or by writing to you at the email address or postal address you provided to us when you enrolled. Additional Fees means any fees payable to either us or the relevant professional body for computer based e-assessments, examination entry fees, tests and assessments, any updates to the Course and any registration and membership fees. Cancellation Period means a period of 14 days starting the day after we email you to confirm your enrolment on a Course. Start Date means the date on which the Course you have accepted enrolled on commences. The enrolment and acceptance process. You may enrol for a course online or in person. Alternatively, you may enrol by contacting us for a booking form, completing this and submitting by email, post or in person at our offices. If you are paying by debit or credit card, we will debit the Course fee from your card on or after the day you make an order for the Course. Credit or debit card details are collected over a secure link. If you inform us that your employer is paying the Course fee, your enrolment will only be accepted if your employer has provided authorisation and has approved credit terms with us. We will invoice your employer directly. If you wish to apply for funding we will discuss the eligibility criteria for an MPES Payment Plan or Government Apprenticeship or Government VTAS Funding with you. Additional documentation may need to be completed prior to completion of the Course enrolment. Please note - we will automatically receive a note of your exam results from the accrediting body, unless we specifically receive a written instruction to the contrary from you, which should be addessed to our Office Manager - sheila.magee@mpes.co.uk. Our acceptance of your enrolment will take place when we have issued you with confirmation of your enrolment at which point a contract will come into existence between you and us and you will be required to pay the Course Fees and any Additional Fees unless we have agreed to third party funding. If your employer is paying your Course fee directly to us, we have agreed a separate contract with your employer for the provision of the Course. In this case any provisions relating to the payment of fees or refunds contained in these terms and conditions do not apply to you. If you are sponsored, we will also notify your Employer of your progress on your course. Any provisions relating to the payment of fees or refunds also do not apply to you if we are providing you with sample resources and demos free of charge. If we cannot accept your enrolment. If we are unable to accept your enrolment, for example where you have provided incomplete or inaccurate information, we will inform you of this. If you wish to make a change to the Course you have applied for please contact us. We will let you know if the change is possible. If it is possible we will let you know about any changes to the price of the Course, the timing of supply or anything else which would be necessary as a result of your requested change and ask you to confirm whether you wish to go ahead with the change. An administrative fee may be payable. To ensure consistency with UK professional education sector practice and guidance. To accommodate minor or temporary changes to dates and locations, which do not impact on the overall provision of the Course. If a third party such as a government body, an awarding body or professional institute which governs a Course imposes the changes on us, such as amending a policy or procedure, changing the syllabus or method of assessment. Updates to digital content. We may update or require you to update digital content. We may from time to time make modifications, enhancements or issue clarifications (for example, to clarify ambiguous regulatory drafting) to audio visual, interactive or written courses, and our systems requirements. Access to such changes will be free of charge to the extent that such changes relate to the Course purchased by you at the applicable time, during the period for which the digital content is available for your Course. The updated digital content shall always match the description of it that we provided to you before you bought it. Acceptance of your enrolment on your Course. By submitting the online booking form or posting the booking form to us you are formally accepting these terms and conditions and your enrolment on the Course and Start Date as set out in your confirmation of enrolment. Course updates. From time to time certain courses and/or study materials may be superseded by new legislation, new syllabi, or the issue of new regulations. If this arises then we may produce courses covering the new material. For the avoidance of doubt, purchase of a current Course does not as part of the original purchase price entitle access to future revised courses and further amounts may be due. We are not responsible for delays outside our control. If provision of the Courses is delayed by an event outside our control then we will contact you as soon as possible to let you know and we will take steps to minimise the effect of the delay. Provided we do this we will not be liable for delays caused by the event, but if there is a risk of substantial delay you may contact us to end the contract and receive a refund for any part of the Course you have paid for but not received. Your rights if we suspend the provision of a Course. We will contact you in advance to tell you we will be suspending provision of a Course, unless the problem is urgent or an emergency. You may contact us to end the contract for a Course if we suspend it, or tell you we are going to suspend it and we will refund any sums you have paid in advance for part of the Course that you have paid for but not received. We may also suspend provision of a Course if you do not pay. If you do not pay us for a Course when you are supposed to (see clauses 3e and 11) and you still do not make payment within 7 days of us reminding you that payment is due, or if your sponsoring employer or third party funder does not pay us, we may suspend provision of the Course until you have paid us the outstanding amounts. We will contact you to tell you we are suspending provision of the Course. We will not suspend the Course where you dispute the unpaid invoice (see clause 11f). We will not charge you for the Course during the period for which it is suspended. As well as suspending the Course we can also charge you interest on your overdue payments (see clause 11f). You will become responsible for study materials from the time you collect them / are given them or until you return them to us. Ownership of Intellectual Property. All intellectual property rights (including copyright) in a Course or other learning materials belong to us, or another company in the same group of companies as us. Licence of Intellectual Property. We will allow you to use the applicable study materials in a personal capacity for the purposes of studying on the Course. That permission will end when this Contract ends. You agree that you will only use any study materials and/ or digital content for study purposes and that you will not copy, make available, transmit , reproduce, sell, licence, distribute, publish or broadcast or otherwise circulate the materials. It is your responsibility to register and/or become a member of the relevant professional body for your Course. If you have just changed your mind about a Course, see sections 7b(vi),7c and 7d. You will be entitled to a refund if you cancel within the 14 day Cancellation Period. In all other cases (if we are not at fault and the Cancellation Period has ended), see section 7e. Exercising your right to change your mind (Consumer Contracts Regulations 2013). You have a legal right to change your mind within 14 days and receive a refund. These rights, under the Consumer Contracts Regulations 2013, are explained in more detail in these terms. If you are cancelling within the 14 day Cancellation Period then please let us know by a clear statement: using the contact details in section 8a, send us a letter, email us, or call us. Please give us your name, address, details of the Course and where available your phone number and email address. To meet the cancellation deadline it is sufficient for you to send us your communication telling us you wish to cancel before the end of the Cancellation Period. If you are posting a letter you may wish to send this by recorded delivery as you will need to be able to prove that we have received it.. Sealed audio or sealed video recordings or sealed computer software, once these products are unsealed after you receive them. How long do I have to change my mind? You have 14 days after the day we issue you confirmation of your enrolment in accordance with clause 3e. If you cancel after the Start Date, you must pay us for the elements of the Course provided to you up until the time you tell us you have changed your mind. If we delivered digital content to you immediately, and you agreed to this when you applied, you will not have the right to change your mind, and will have to pay us for that element of the Course. Ending the contract where we are not at fault and there is no right to change your mind. Even if we are not at fault and you do not have a right to change your mind (see clause 7a), you can still end the contract before it is completed, but you may have to pay us compensation. A contract for study materials or digital content is completed when these are collected, downloaded or streamed and paid for. A contract for services is completed when we have finished providing the services and you have paid for them. If you want to end the contract in these circumstances, just contact us to let us know. The contract will end immediately and we will refund any sums paid by you for any elements of the Course not provided but we may deduct from that refund (or, if you have not made an advance payment, charge you) reasonable compensation for the net costs we will incur as a result of your ending the contract which will include an administrative fee of up to £100 per course for handling the cancellation. Phone or email. Call the office on 01624 668101 or email us at enquiries@mpes.co.uk. Please provide your name, home address, details of the order and, where available, your phone number and email address. By post. Write to us at that address, including all of the aforementioned information. Returning Study materials after ending the contract. If you end the contract for any reason after study materials have been dispatched to you or you have received them, you must return them to us. You must return the study materials in person to our office. If you are exercising your right to change your mind you must send off the study materials within 14 days of telling us you wish to end the contract. Please see section 8e for more information. If you are ending the contract because we have told you of an upcoming change to the Course or these terms, an error in pricing or description, a delay in delivery due to events outside our control or because you have a legal right to do so as a result of something we have done wrong. How we will refund you. We will refund you the price you paid for the by the method you used for payment. However, we may make deductions from the fees, as described below. We may reduce your refund of the fees (excluding delivery costs) to reflect any reduction in the value of the study materials, if this has been caused by your handling them in a way which would not be permitted in a shop, such as where the item has not just been checked but used. If you have marked or written on the study materials, they will no longer have any value for us and so we will be unable to issue a refund. If we refund you the price paid before we are able to inspect the study materials and later discover you have handled them in an unacceptable way, you must pay us an appropriate amount. We may deduct from any refund an amount for the supply of the service for the period for which it was supplied, ending with the time when you told us you had changed your mind. The amount will be in proportion to what has been supplied, in comparison with the full coverage of the contract. In the case of a refund for an exam booking where you have not sat the exam, we will deduct an amount up to £35 if we have already administered your booking with the relevant institute. If we delivered digital content to you immediately, and you agreed to this when you applied, you will not receive a refund for that part of the Course. Your refund for study materials will be made within 14 days from the day on which we receive the study materials back from you or, if earlier, the day on which you provide us with evidence that you have sent the Course back to us. For information about how to return study materials to us, see clause 8b. Do not make a payment to us when it is due and you still do not make payment within 7 days of us reminding you that payment is due. Do not receive funding authorisation from your employer or loan approval prior to the Start Date or if authorisation of or a loan to fund the Course is withdrawn during the duration of your Course. Have not complied with our policies referred to in clause 15, those of any relevant professional body or institute, or you are guilty of inappropriate conduct, or are acting in a way that detrimentally affects the learning of others. If we end the contract in the situations set out in section 9a on or after the Start Date you will not be entitled to any refund. If we end the contract in advance of the Start Date, we will refund any money you have paid in advance for a Course, but we may deduct from that refund as reasonable compensation for the net costs we will incur as a result of ending your contract. How to tell us about problems. If you have any questions or complaints about the Course, please contact us. You can telephone our office at 01624 668101 or write to us at enquiries@mpes.co.uk or Manx Professional & Educational Services Limited, 41-45 Duke Street, Douglas, Isle of Man, IM1 2AU. Alternatively, please speak to one of our staff at our premises. If you wish to make a formal complaint, please use the details found in clause 10a. Your obligation to return rejected study materials. If you wish to exercise your legal rights to reject study materials you must either return them in person to us if your Course is classroom-based or online or, if your Course is Distance Learning, post them back to us. We will refund the cost of study materials sent to you (less postage and packaging) if you return them to Manx Professional & Educational Services Limited, 41-45 Duke Street, Douglas, Isle of Man, IM1 2AU within 14 days of receipt in a re-saleable condition. You must obtain proof of postage which you may be required to produce in the event of any query. Where to find the fees for the Course. The fees of the Course (which includes VAT) will be the price indicated on the booking page when you make your booking. We take all reasonable care to ensure that the price of the Course advised to you is correct. However please see clause 11d for what happens if we discover an error in the price of the Course. We will pass on changes in the rate of VAT. If the rate of VAT changes between your enrolment date and the Course Start Date, we will adjust the rate of VAT that you pay, unless you have already paid for the Course in full before the change in the rate of VAT takes effect. What happens if we got the fees wrong. It is always possible that, despite our best efforts, some of the Courses we provide may be incorrectly priced. We will normally check prices before accepting your enrolment so that, where the Course's correct fees at your enrolment date is less than our stated price at your enrolment date, we will charge the lower amount. If the Course's correct price at your enrolment date is higher than the fees stated, we will contact you for your instructions before we accept your enrolment. If you are a sponsored student and you employer is paying your fees, we will dispatch study materials and give you access to digital content and start providing your Course once your employer has paid us, or has agreed payment terms with us. If you are not a sponsored student, we will dispatch study materials and give you access to digital content and start providing your Course once you have paid us, have obtained a loan or agreed payment terms with us. For digital content, you must pay for these before you download them. For services you must pay the fees in advance. We can charge interest if you pay late. If you do not make any payment to us by the due date, we may charge interest to you on the overdue amount at the rate of 4% a year above the base lending rate of Barclays Bank from time to time. This interest shall accrue on a daily basis from the due date until the date of actual payment of the overdue amount, whether before or after judgment. You must pay us interest together with any overdue amount. What to do if you think an invoice is wrong. If you think an invoice is wrong, please contact us promptly to let us know and we will not charge you interest until we have resolved the issue. Third Party funding. If your employer is sponsoring your studies or you have applied for funding from Government Apprenticeships, then additional documentation may need to be completed prior to enrolment. Please note that if funding is not received or ceases then we will end this contract as set out in clause 9a (b). We are responsible to you for foreseeable loss and damage caused by us. If we fail to comply with these terms, we are responsible for loss or damage you suffer that is a foreseeable result of our breaking this contract or our failing to use reasonable care and skill, but we are not responsible for any loss or damage that is not foreseeable. Loss or damage is foreseeable if either it is obvious that it will happen or if, at the time the contract was made, both we and you knew it might happen, for example, if you discussed it with us during the enrolment process. If defective digital content which we have supplied damages a device or digital content belonging to you and this is caused by our failure to use reasonable care and skill we will either repair the damage or pay you compensation. However, we will not be liable for damage which you could have avoided by following our advice to apply an update offered to you free of charge or for damage which was caused by you failing to correctly follow installation instructions or to have in place the minimum system requirements advised by us, It is your responsibility to use virus checking software. We are not liable for business losses. We only supply the Courses for domestic and private use. If you use the Courses for any commercial, business or re-sale purpose we will have no liability to you for any loss of profit, loss of business, business interruption, or loss of business opportunity. If you agreed to this during the enrolment process, to inform you about similar Courses that we provide, but you may stop receiving these at any time by contacting us. If you are a sponsored student, we will share your data, course attendance and test results with your employer or any other party responsible for paying your fees. 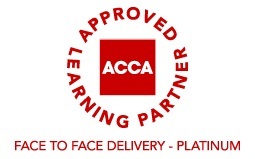 With any one of AAT, ACCA, CIMA, CIOT and ICAEW as the relevant professional body for your Course. With other companies or organisations we have hired to perform services on our behalf including, without limitation, training services, carrying out market research, facilitating some aspects of our site and services, managing our database, contacting you, sending e-mail and fulfilling your requests. These other companies may be supplied with or have access to your personal data solely for the purpose of providing these services to us or on our behalf. We are the data controller and will remain accountable for the personal information. With other business divisions and subsidiaries of MPES (our "Affiliated Businesses") that provide services we think might interest you. With a third party in connection with a change in or corporate structure such as, but not limited to, merger, consolidation, sale, liquidation, or transfer of substantial assets. We may disclose personal information, as permitted or required by law, and to: (i) respond to inquiries or requests from governmental or public authorities; (ii) protect our rights, privacy, safety or property; (iii) permit us to pursue available remedies or limit damages that we may sustain; and (iv) enforce our agreements, including without limitation our enrolment terms and conditions. Essential requirements. You will need the following essentials to participate in one of our Courses. Calculator – please note that some professional bodies specify the requirements for calculators and you will need to check this. Your browser. Our learning platform supports all the major modern browsers. However, for optimum performance we recommend that you use the latest version of Chrome. Please refer to our systems requirements, which is updated regularly. Pop-up blockers and firewalls. Your web browser may have active pop-up blockers to suppress unwanted advertising. Similarly, you may be behind a content-blocking device such as a firewall. It may be necessary to reconfigure or disable these. If you are accessing the learning platform from work or in a public place, you may have to contact the system administrator to do this. It is your responsibility to ensure that www.mpes.co.uk or https://my.mpes.co.uk are added to your safe domain list. Computer equipment and internet access costs. These are not included in our Course fees and are your responsibility. It is your responsibility to check that the computer or any other mobile device (such as a tablet) you plan to use to access your MyMPES account and/or online course is compatible with the minimum specification requirement for operating MyMPES and/or using our websites and participating in webinars. Digital content is available for a limited period only and that period will vary depending on the Course. Examples are given below. Call our office on 01624 668101 or email us at enquiries@mpes.co.uk if you’d like to know the specific period for the course that you are enrolling onto. MPES electronic communications and Wi-Fi policy. In the event that you are in breach of the Student Code of Conduct we reserve the right to apply disciplinary procedures. We may transfer this agreement to someone else. We may transfer our rights and obligations under these terms to another organisation. We will always tell you in writing if this happened and we will ensure that the transfer does not affect your rights under this contract. Courses are not transferable between students. Students must not share any online content with nor make their online passwords available to any third parties including other students. We reserve the right to terminate access to your online account in these circumstances or where we detect any suspicious or unusual activity related to your account. Nobody else has any rights under this contract. Unless you are sponsored by your employer, this contract is between you and us. No other person shall have any rights to enforce any of its terms. Neither of us will need to get the agreement of any other person in order to end the contract or make any changes to these terms. Even if we delay in enforcing this contract, we can still enforce it later. If we do not insist immediately that you do anything you are required to do under these terms, or if we delay in taking steps against you in respect of your breaking this contract, that will not mean that you do not have to do those things and it will not prevent us taking steps against you at a later date. For example, if you miss a payment and we do not chase you but we continue to provide the Courses, we can still require you to make the payment at a later date. Which laws apply to this contract and where you may bring legal proceedings. By agreeing to these terms and conditions, you are agreeing that these terms are governed by Manx and English law and you can bring legal proceedings in respect of the Courses in the Manx and English courts. This is the case even if you live outside of the European Economic Area. You should satisfy yourself that you will not be in breach of any law where you are resident if this is outside of the UK. When ordering study materials for delivery (other than in the UK), you may be subject to import duties and taxes, which are levied once the goods reach the specified destination. Any additional charges for customs clearance must be borne by you; we have no control over these charges and cannot predict what they may be. Customs policies vary widely from country to country, so you should contact your local customs office for further information. Additionally, please note that when you order study materials from Kaplan Publishing, you are considered the importer of record and must comply with all laws and regulations of the country in which you are receiving the study materials.